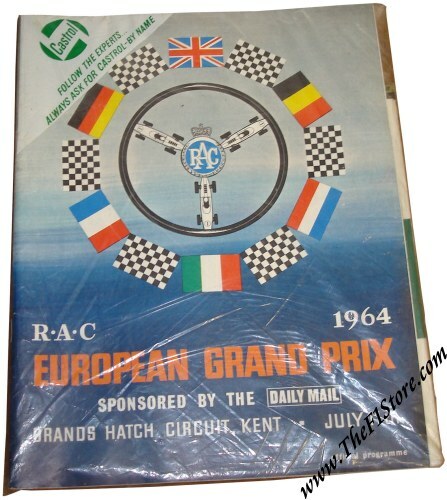 Vintage 1964 European Grand Prix Program Package. 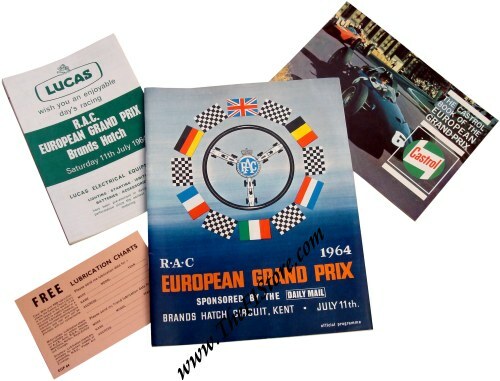 This is the COMPLETE package as sold at Brands Hatch on July 11, 1964 during the European Grand Prix! An incredible set and a true time capsule! This is EXACTLY how you would have bought it at the track more than 52 years ago! 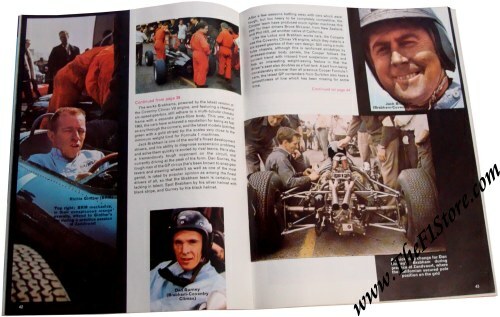 The race was won by Jim Clark on Lotus with Graham Hill on BRM in second place. John Surtees on Ferrari completed the podium. Only 1 set available of course.